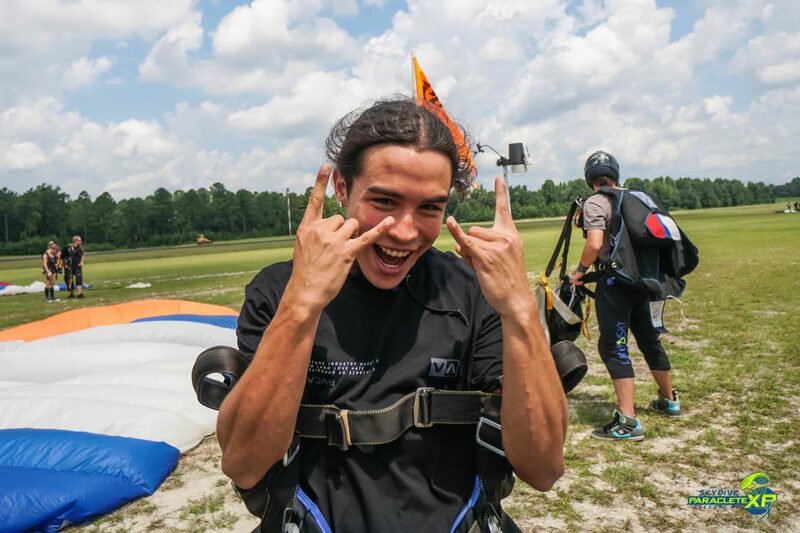 If you’ve ever watched a skydiving video, you might be curious about one thing: What’s going on in that freefallin’ head? You see the enormous grin; the whipping hair; the expression of delighted disbelief. But what’s the cognitive soundtrack playing in the background? Well: We’d love to give you a peek behind that curtain, because we have a very good idea of what’s goin’ on in there. This one’s an easy one. Before placing a tandem skydiving reservation, the number-one thought in every potential skydiver’s head is the same: Is skydiving safe? You’ll be happy about the answer to this one. Indeed, skydiving is statistically safer now than it’s ever been — significantly safer than commuting, as a matter of fact! 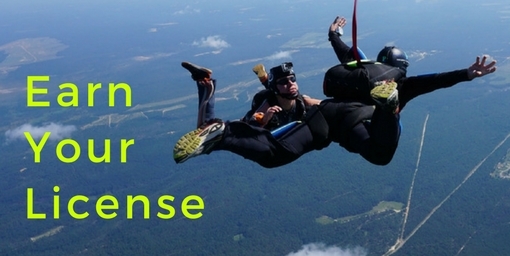 Check out the statistics carefully gathered by the United States Parachute Association for an eye-opening look at just how small your risk of dying on a skydive actually is. As it turns out, you’ve been worrying over nothing. Surprise! If you’ve managed to get any sleep the night before (pre-jump nerves are a thing! ), there’s a good chance that your brain is firing on sufficient cylinders to be thinking about the logistics of the day. The question that comes up most often here is planning-related: How long does skydiving take? Between the sign-in, ground school, gear-up and wait for a “load” (an airplane upon which you are registered on the manifest), a skydiving experience generally requires a few hours from soup to nuts. Generally, folks revel in the bustle of the dropzone life, but for the very best experience you can have we highly recommend bringing water, some snacks, some reading material, chargers for your devices and a few friends! Hot tip: A pair of binoculars are a fantastic addition to the gearbag. What goes through your mind as you’re watching the skydivers before you? If you’ve brought your binoculars to the dropzone (which we highly recommend), you’ll be able to hang out in the observation area and check out the goings-on from ground level. It’s fascinating stuff, to be sure, but it often leaves people with the question ‘how fast do skydivers fall?’ Answer: a tandem pair usually falls in the 120MPH range. Zoom! What goes through your mind as you’re on the plane? Once you’re in the plane, your head will, unsurprisingly, be right back on safety. ‘How often do parachutes fail?,’ you’ll probably ask yourself. The answer: Not very often at all. Sport skydivers generally cut away once per thousand jumps, and with advances in modern parachute technology, it’s almost always a non-event that ends with a soft landing under a reserve parachute. There’s a reason the pro- and sport-skydiving faces on the plane are all so serene: We know there’s nothing to worry about. What goes through your mind in the air? Once you exit the aircraft, you’re going to get a big surprise. ‘Whoa,’ you’ll think. ‘Why doesn’t it feel like I am falling? It doesn’t feel like you’re falling because, from moment number one, you’ll be supported by the same air that supports birds, planes and everything else that shares the sky with you. There’s no roller-coaster stomach drop, just human flight all day long. That exuberant feeling is what we fell in love with when we were in your newbie shoes, and it’s that exuberant feeling that keeps us coming back, jump after jump after jump. We just can’t get enough of it! So: Wanna try? 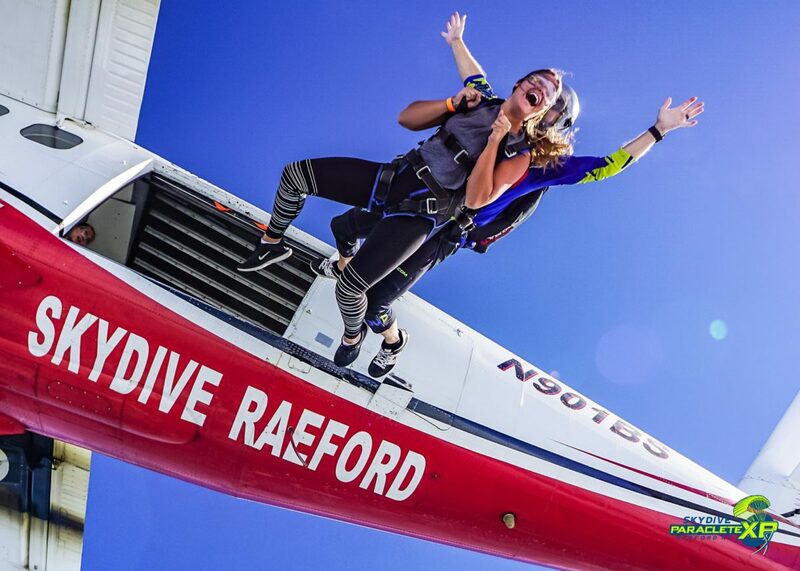 Book your reservation today and give yourself the gift of freefall. Then you’ll be able to truly know what’s going through your mind on a skydive — and you owe it to yourself to find out!